Enquete.com - Creating An Online Survey? Tips For Choosing The Right Tool. When searching for tools on the internet to set up an online survey, you will find many websites that offer free online survey tools. Generally there is nothing wrong with a free tool, but what you certainly have to consider are the many disadvantages that go with it. In some cases you may want to use various question types for survey, but most free tools are only built for easy use and often with 1 question type. Free online surveys mostly have limited possibilities for creating a question type. This can be be a big disadvantage when you want to use a complex question structure. In addition, it is a disadvantage when you have little or no influence on the design of the questionnaire. With many online tools, you have limited or no ability to adjust the layout and style. This can make your survey to look less professional . Some advantages of free online tools are: it is free, you can start almost immediately and they are often easy to use. Paid online tools have more possibilities. You often have the possibility of creating unlimited surveys and installing the necessary software on your own home computer. 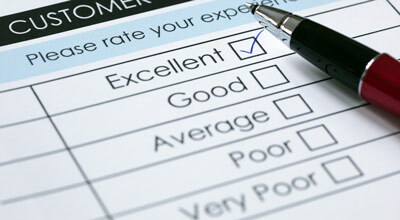 Compared with the free online tools, there are more advantages when using paid online surveys. You can use what ever layout you wish and even adapt it to your own corporate design. You can also use different question types. Questions can contain images, video and sound fragments on your survey. Another important advantage is that the paid methods provides the possibility of importing and exporting of the research results. The biggest drawback of a paid online survey tool is the price. Which tool you choose to use often has to do with the requirements you’ve set for yourself and features you find more important. Do you want to start a free or paid online survey now? Sign up for a free account and get started.